Do you know how I've been harping on the rampant commercial piracy in Google Play Books (four posts in the past month)? I think Google finally got the message. I've just read on Twitter, and confirmed from a second source, that Google has closed the tr to new users. Update: As of late November, the portal is still closed to new sign ups. To be clear, this has now been confirmed from several sources. I could be jumping to conclusions, but it looks to me like Google has decided that it was time they took piracy seriously, and apparently their first step is to stop letting pirates set up new accounts. This is temporary, of course, and will probably only last until Google has added algorithms which will actively identify and flag pirated ebooks in Google Play Books (ideally, something like ContentID in Youtube). I've said this before but it bears repeating. More so than any other ebook retailer, Google has a problem with rampant commercial ebook piracy. Thanks to Google's complete indifference, ebook pirates can set up shop in Google Play Books - and I mean that literally - and upload copy after copy after copy of a pirated ebook secure in the knowledge that Google won't do anything more than respond to a specific DMCA notice. And now that is going to change (or so I hope). While I would like to take the credit, Google would probably still be ignoring this issue if not for the fact that the Dutch publishers trade group NUV, or Nederlands Uitgeversverbond, took an interest after Google said that there was nothing they could do about an obvious commercial ebook pirate. As I reported in my last post, the NUV is far more powerful than a lone blogger or individual publishers. It has the resources both to file an expensive lawsuit and to launch a PR campaign to embarrass Google, but more importantly the NUV also has the connections and the gravitas to grab Google's attention and make Google fix the problem. And I think the NUV got Google's attention. It was two days after I published my last post that Google stopped accepting new registrations in the Partner Center. The Partner Center has been locked for 5 days now while Google is doing something behind the scene. They have yet to share any details but let's hope that includes adding ways to detect pirates. I am of course waiting for a response from Google. If you hear something, please leave a message and let me know. Thanks, @SellMoreBookShow and @MJ Guns! Aside from the title/author, etc., if they check the text of the ebook itself, a properly proofed pirated ebook may pass muster over the scanned, but not proofed, commercial version. Kudos to you, Nate. I think you underestimate the impact you had. Yes, kudos to you too, Nate. You’ve been one of the few harping on this. Anything will be better than what they’re doing now. I just filed yet another DMCA notice for one of my books posted with author “Huzur Burda” from publisher “dgfhj” (I kid you not). This pirated copy was only uploaded within the past couple of days, so if the portal has been closed for 5 days, this tells me the pirate account existed before then. Has Google been taking down books but not closing pirate accounts? Anyway, I hope they’ve closed the portal so they can add some basic checks. Kudos to Google if that’s the case. There might be a few false positives, but as long as publishers have the opportunity to assert their rights when legit books are flagged, a few false positives will be better than the situation now. Anything will be better than what they’re doing now. Has Google been taking down books but not closing pirate accounts? That is what I think was going on, yes. Seriously, this does seem like good news. It’s just too bad that whatever they implement, it will only ever be “explained” by Google via dishonest BS euphemisms like “improv[ing] our content management capabilities.” They’ll never be so truthful as to say “This is how we were screwing up, and this is how we’re now trying to fix it.” So the only way to evaluate what they do will be to wait and see if the piracy complaints start trending downward. Nate, thanks for the update; but there’s no need for the f-bomb. I know you were very frustrated and now relieved that Google finally took necessary action, but expletives (though highly expressive) are not needed and reflect poorly on you and all the good things you say on your blog. I think I can answer that one: You’re coming from somewhere south of the 19th century, on the corner of Sanctimony Drive and Horseshit Boulevard. One thing I’m also encouraging people to do is if they find their content pirated on Google Books is to not only file a DMCA against them, but also go into Google’s own webmaster tools dashboard AND report the direct link to the pirated content with a copyright removal request there, too. That should start shaming them even more, they start getting plenty of DMCA link removal requests to block links to= their own darn sites. Hey, glad to be a part of a story. We’ve certainly quoted you enough times on SMBS :). Welcome. I always try to at least link to my sources (unlike those other guys). Well, you are assuming the shutdown has something to do with pirating/pirates. Their interface actually has a lot of flaws and is somewhat archaic and confusing…what if they are just updating the interface??? Is there any actual evidence that they shut it down due to pirates or to attempt to fix that particular problem??? The last time (that I know of) that Google updated the interface they simply pushed it out and sent out an email. To the best of my knowledge they did not stop letting new people sign up. Agreed. I would love for them to be doing something about the pirating problem. But. I am not yet convinced. Their interface is clunky, but their system did, in the past, make the book available for sale in a matter of a few minutes, once you had all the boxes ticked. However, today I uploaded another book, and while it says everything is okay, it’s not for sale after almost an hour. Maybe they did put in some checks? A Facebook friend tells me she could not upload a new book, even though she has an account. She does live in Canada, if that matters. I don’t know if she has an ISBN, either. All my books do, and that’s the first thing Google Books as for. Oh, that’s interesting. I’ve been having similar problems. Do you mean you cannot load a new book, Nate, or you loaded one and it’s still in processing? In fact, the six month anniversary was on Friday. Any news on when Google Books might start allowing new publishers? It’s been forever and they aren’t even allowing legitimate U.S. government entities to create new accounts! I don’t have any info, sorry. My current theory is that they’re never going to open it again. This actually makes sense from their position; they don’t really care about ebooks so avoiding the headache is worth more to Google than having a portal authors and publishers can use. I am surprised that you think they will never open it again. Ebooks is a BiG Deal and if Amazon has this situation mostly under control, you canbet that Google has an entire building working this and getting redy to unleash the monster of all ebook selling platforms. Yes it is dissapointing that we approaching a year now, but this probably indicates how important this is indeed for them. Hello Google!, I see you already have my book listed ( ) and I want to update it with new info, current pricing, where to buy it, etc. I also would like for people to just buy it from Google also, if they want. But I see the Publisher Portal is closed for some reason, so how can I update it? Many thanks! You are now connected to Ankit, who will be with you momentarily. Thanks for contacting Google Books Partner Program support! Can you please wait one moment while I review your information? Thanks for sharing your concern. While checking the book with ISBN, I’ve find that this book as scanless book. Scanless books exist in our system as metadata-only records, much like you’d find in a library catalog: the data we have is basic bibliographic information about the book itself (such as the title, author, ISBN, and publication date), and doesn’t include content from the copyrighted pages. You may have noticed that there’s no preview available for this book on Google Books. There is a dedicated team who are the experts of issues related to your query. I’ll transfer your query to them and they will get back to you over an email. Will that be okay with you if I transfer your query to them as they are the specialists team for this? Thanks for chatting with us. Have a great day ahead. Additionally , I’d like to let you know new sign ups are closed as of now. We’ve temporarily closed new publisher sign-ups in the Google Play Books Partner Center so we can improve our content management capabilities and our user experience. We’re working to reopen this to new publishers soon. Please let me know if you would like to be notified by email when you can sign up for a new account. Yes but I understand this was in May of 2015, almost a year ago. Do you mean to say that I am unable to update the meta details of my book? and yes i want to be notified, thank you. I’m sorry i’m unable to comment on that (update the meta details). As it is handled by a different team. They will let you know about that. How do I interact with them? The wrong year and wrong price is listed in Google. I’m forwarding your query to them and they will get back to you asap. Thanks for chatting with me.! Thank you for contacting Google Books Partner Program chat support. Your chat session is now complete. eBooks are only a big deal to people in the book publishing industry. Global ebook revenues don’t amount to a hill of beans for Google, whose interest in ebooks only goes as far as being an item on a checklist. And anyway, Google has ebooks right now; why exactly would they need to open that portal again? What need would it fill for Google that is not filled by ebook distributors? How much are global ebook revenues these days? Im not sure I understand your question. They will reopen that portal to allow authors to add new books and ebooks, and to update exisiting ones. Unless you are saying that it is the sole role of the ebook distributors to supply Google Books with the data. Is that what you are saying? You keep looking at this from your viewpoint, and not Google’s. Google needs ebooks, yes, but Google has ebooks. So what would they gain from reopening that portal? Headaches, for one. But would it give Google that Google doesn’t already have? Doubtful. 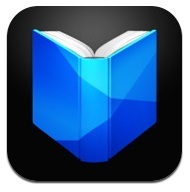 The Google Books scanning case doesn’t have anything to do with Google Play Books publishing. As far as I know, they’re completely different projects that don’t intersect at all. Were you able to sell this account? for how much?